The Recovering America's Wildlife Act could help protect Texas species in peril. For decades, Texas biologists have toiled over solutions for species teetering on the brink, with some success. But what if we could help more species, and help them earlier, before their situation becomes dire? The answer has come in the form of proposed bipartisan national legislation — the Recovering America’s Wildlife Act, or RAWA — that could bring an estimated $60 million annually to Texas (out of $1.3 billion nationally) for natural resource conservation and outdoor recreation initiatives. “For Texas, the Recovering America’s Wildlife Act would mean transformative change for people and wildlife, the kind of breakthrough that comes once in a generation,” says Texas Parks and Wildlife Department Executive Director Carter Smith. The agency plans to apply funds to implement the Texas Conservation Action Plan, a statewide “road map” for research, restoration, management and recovery projects addressing Species of Greatest Conservation Need (SGCN) and important habitats, along with much-needed fish, wildlife and nature education programs. 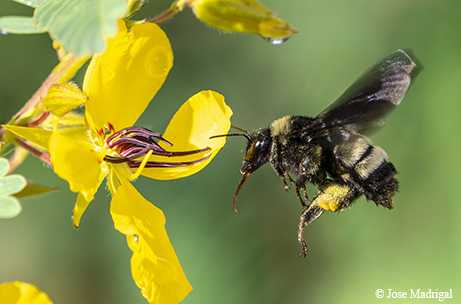 With nearly 1,000 native bee species in the state, RAWA could be a game changer in terms of how we collect data and enact well-informed conservation measures. Passage of the bill — known formally as HR 4647, sponsored by Reps. Jeff Fortenberry and Debbie Dingell, a Republican and a Democrat — would amend the Pittman-Robertson Wildlife Restoration Act to make supplemental funds available for management of “greatest need” fish and wildlife species determined by the state to be at risk or in need of additional monitoring. Here in Texas, there are more than 1,300 imperiled fish and wildlife species, with another 400 or more at-risk habitat communities. The Association of Fish and Wildlife Agencies convened a blue-ribbon panel in 2014, including 26 representatives from environmental/recreational groups and business/industry leaders (like Shell Oil President Bruce Culpepper, Bass Pro Shops CEO Johnny Morris, Hess Corp. CEO Greg Hill and more), chaired by Morris and former Wyoming Gov. Dave Freudenthal. The panel reviewed several funding options, and in the end determined that using existing federal revenues from nonrenewable natural resources, such as oil and gas, was a solution that would benefit both the economy and our fish and wildlife heritage. In March 2016, they released a plan to provide $1.3 billion annually from the up to $13 billion already collected every year from energy and mineral resources leases on federal lands and waters. There would be no new taxes or additional taxes needed to fund the bill. 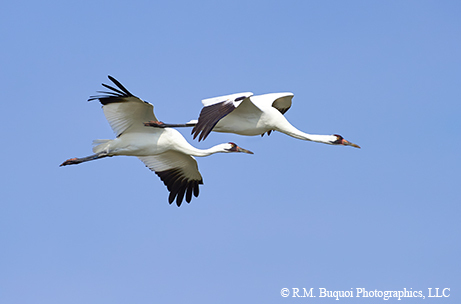 In 1941, only 16 whooping cranes remained in the wild. Now, they number more than 300. States would be required to provide a 25 percent match for the funds. RAWA was introduced in December 2017 and has gained momentum ever since. More than 70 legislators have signed on to co-sponsor the bill, balanced between both political parties. A national coalition led by the Congressional Sportsman’s Foundation and the National Wildlife Federation is working to pass the RAWA bill. Closer to home, the Texas Alliance for America’s Fish and Wildlife, a coalition of 100-plus organizations representing more than a million Texans, is working diligently to educate the Texas Congressional delegation. Texas is blessed with amazing biodiversity — home to nearly 800 species of fish, 450 species of butterflies, 648 species of birds and about 5,000 species of native plants. Texas species and their wild homes are the draw for Texas’ multibillion-dollar nature tourism industry. To date, dedicated funding for Texas game animals has been provided by landmark legislation (Pittman-Robertson and Dingell-Johnson/Wallop-Breaux), while funding for the most imperiled comes through the Endangered Species Act, but there’s not been much left for the vast majority of other species that are declining. 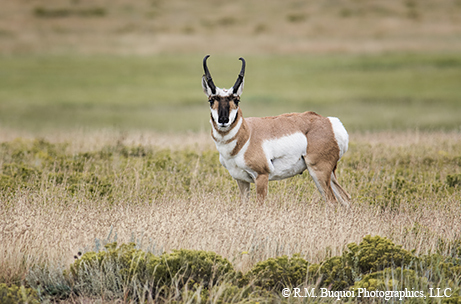 During the past decade in Texas, more than 750 pronghorns have been captured from healthy populations and translocated to the Marfa Plateau and Marathon Basin to boost depleted populations. TPWD is focusing on the Texas Conservation Action Plan, first created in 2005, then updated, expanded and refined in 2014. The plan serves as a road map for the conservation community to implement collaborative stewardship and identifies 1,310 Species of Greatest Conservation Need. Of course, TPWD also works to protect species that are in peril but not yet a "greatest need" species, like monarchs, which can also benefit from RAWA funds used for grassland restoration. Monarch conservation in Texas, like conservation for other insect pollinators, is all about creating, restoring and maintaining native habitat with a diverse mix of nectar-producing plants. “Any efforts to restore native grasslands with a mix of grasses and forbs for the eastern meadowlark, northern bobwhite, dickcissel, scissor-tailed flycatcher and many other birds would certainly allow the monarch to ride their coattails towards conservation,” says TPWD ornithologist Cliff Shackelford. TPWD has been involved with the Grassland Restoration Incentive Program to help restore grasslands and forbs (like wildflowers, including the monarch’s preferred milkweed) used by many birds as well as lots of pollinators. 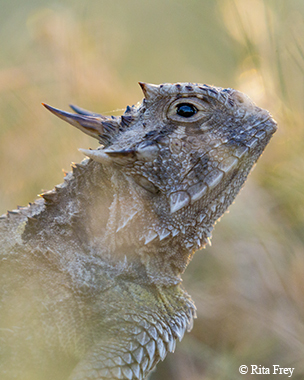 Texas horned lizards once occurred throughout Texas, but now only a few isolated populations remain. Relocation efforts with the hope of establishing new self-sustaining populations are underway. The transformative funding would help not just fish, wildlife and habitats, but also people. If passed, $12 million would be available each year to invest in nature education, with an additional $6 million a year to invest in providing more and better outdoor recreation opportunities like hiking, paddling, bird watching and nature photography. Polls and surveys consistently show that Texas residents strongly support land, water and wildlife conservation and outdoor recreation. Land frag­mentation, drought, loss of open space, competing demands for water and invasive species can disrupt these species and our enjoyment of them. 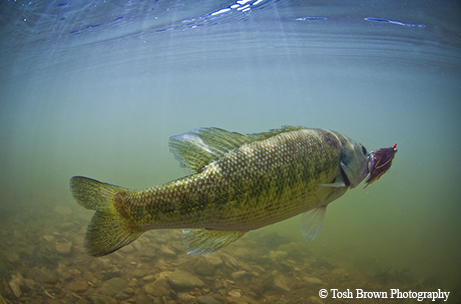 Since 2010, TPWD biologists have been reintroducing pure Guadalupe bass and helping conserve habitats, with the goal of restoring and maintaining at least 10 self-sustaing populations in Hill Country rivers. Collaborative, creative efforts can ensure that our imperiled populations and habitats survive. Individual action is important, but when we work together, the results can be transformative. For Texas, the Recovering America’s Wildlife Act would indeed mean transformative change for people and wildlife, the kind of breakthrough that comes once in a generation. But it won’t happen unless people who care get informed, get involved and make their voices heard to their elected officials. For more information about what this would mean for our state, and to find out how to help, visit Texas Alliance for America’s Fish and Wildlife at txwildlifealliance.org.